Usami: "The Bundesliga is fantastic!" 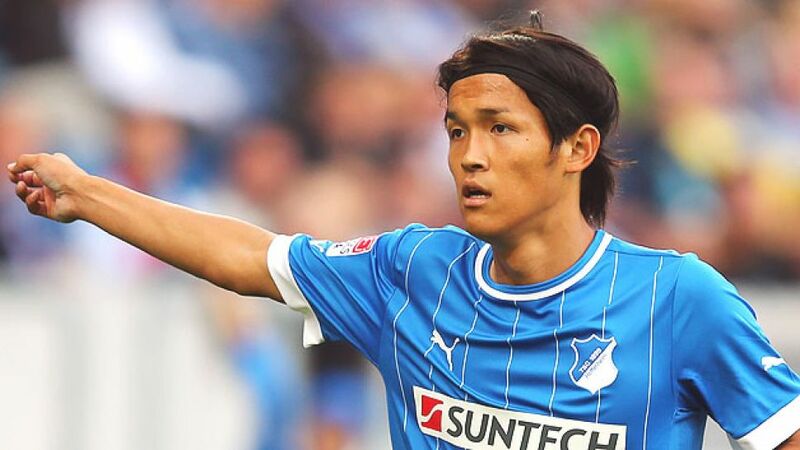 Munich - Takashi Usami is one of a host of Japanese stars currently making a name for themselves in the Bundesliga, and after a year with FC Bayern Munich, the nimble attacker is now excelling at 1899 Hoffenheim. Two goals and two assists in the first seven games of the season have cemented Usami's place in the Sinsheim side's starting line-up. In an exclusive interview with bundesliga.com the 20-year-old midfielder spoke about how much he loves the Bundesliga, how he made the breakthrough in the German game and why so many of his compatriots are finding a home away from home in Germany. bundesliga.com: Takashi Usami, many thanks for taking time out to talk to us. You seem to be finding your feet in the Bundesliga now with Hoffenheim. How have the last few weeks gone for you? Takashi Usami: I've been in Germany for a year and I feel comfortable in the Bundesliga now. This has certainly contributed to my performances, but I can still see room for improvement. bundesliga.com: You've already scored two goals in the league, one of which was an incredible solo effort - how much better are you at handling the speed and style of the Bundesliga compared to last year? Usami: Over the course of my year here, I've been able to adapt well to the pace of the Bundesliga and I'm used to it now. bundesliga.com: How difficult was it competing for a place with and at Bayern Munich last year? Usami: It was very difficult competing with such world-class players and unfortunately I wasn't able to make the breakthrough. However, I learnt a lot from them and this was very important for me. bundesliga.com: What exactly did you learn during your time in Munich? How are you benefitting from it now with Hoffenheim? Usami: Unfortunately, I didn't play much last year, but I was still able to work on my weaknesses and that work is now bearing its fruits here in Hoffenheim. bundesliga.com: German is hardly the easiest language to learn - what progress are you making in terms of integrating yourself in Germany? Usami: German is certainly a difficult language. I have a tutor here in Hoffenheim and I feel that things are slowly improving. I'm also trying to work as little as possible with an interpreter. I've long since got used to life in Germany, though. My wife and I live in Heidelberg and we love it here. bundesliga.com: What do you think about all of the hype surrounding Japanese stars in the Bundesliga at present? Usami: It really doesn't surprise me that Japanese players have enjoyed so much success in the Bundesliga because we're talking about some very good players. bundesliga.com: Japanese players used to be seen as technically gifted, but not necessarily physically robust or so dangerous in front of goal. How has this changed in recent times? Usami: I think it's down to the mentality of Japanese players. They all want to improve constantly and are very ambitious. bundesliga.com: You're currently still on loan in the Bundesliga. How would you rate the league compared to the other top leagues in Europe and could you imagine staying in Germany for a long time? Usami: The Bundesliga is fantastic! The level [of football] is extremely high and the atmosphere in the stadiums is amazing. I would like to be successful with Hoffenheim and play in the Bundesliga for as long as possible. bundesliga.com: On Friday, Hoffenheim play host to Greuther Fürth. On paper, it seems an easy game, but what could make it complicated? Usami: It's a game that we desperately want to win. We've got to try to play football the way we know how.